Fanzart introduces the game changer into the segment of cooling solutions with ‘Aqua Jet’. The Aqua Jet Mist fan is your Perfect Partner for the Summer. It also comes in a Wall-Mount version. 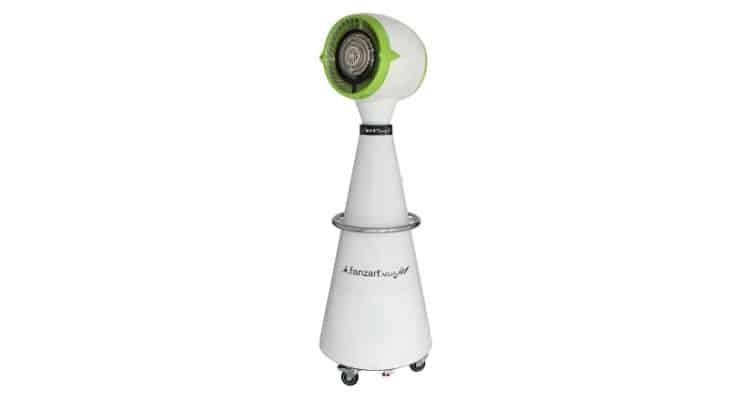 Equipped with a water spray, that sends a cool refreshing breeze of Mist your way, Aqua Jet has an extra strengthened motor, which is the cause of incredibly powerful air delivery and almost negligible air cutting noise. The fan furthermore provides a drop in temperature of up to eight degree Celsius over an area of 95 square metres. The fan is already available on the official website of Fanzart and leading offline stores across India. The product is best suited for Outdoors which includes Backyards, Terraces, Balcony etc. The price is available on request.